The stunning scene that greets players on the approaches to Elderslie golf course is one that inspires for the challenge ahead. On a bright summer’s day the definition provided by well manicured fairways, rough, and trees enhanced by the verdant backdrop of the Newton Woods, stimulates anticipation. There are few courses that provide such a splendid view of first and last holes as you arrive at the car park. Enjoy your golf at Elderslie. 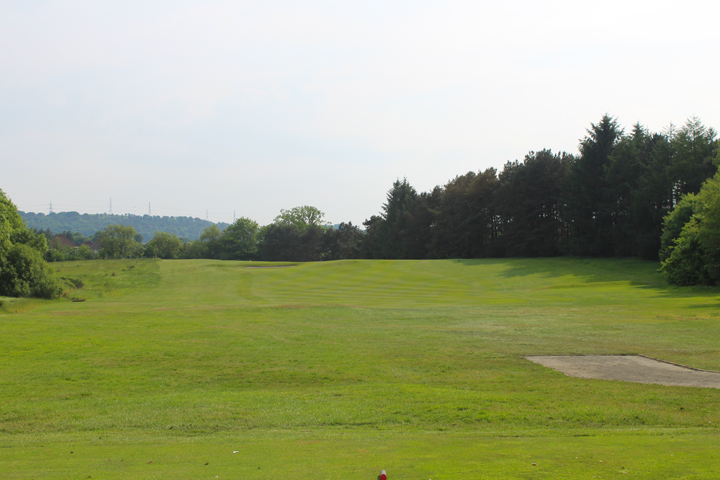 Take advantage of the conveniently situated practice ground to slacken up before teeing off. The course will be in excellent condition through the summer months and the definition of the fairways and greens, resulting from the second cuts and aprons round the putting surfaces, should help with judgment of shots. Be prepared for difficulties if you stray from the fairway or miss the green. At 6175 yards (approximately 5646 metres) in length, and a par of 70, Elderslie provides a fair challenge to the majority of golfers. Enjoy the scenery when you reach the higher parts of the course. On clear days there are magnificent views towards the Kilpatrick Hills and Ben Lomond from the seventh and ninth greens. 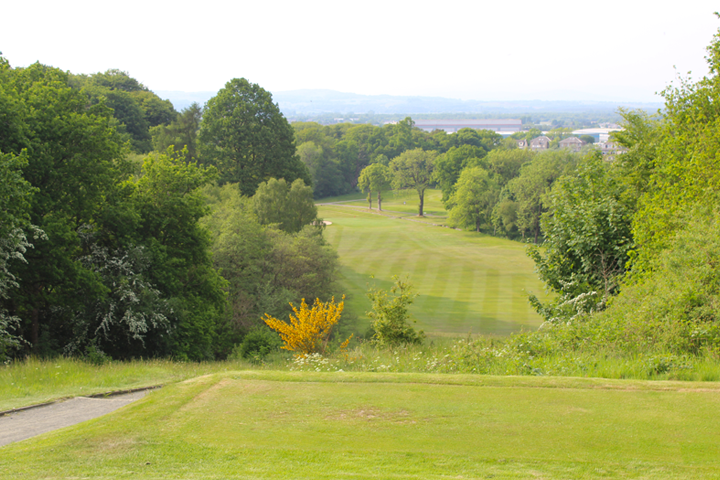 The vista of Gleniffer Braes is the backdrop from the tenth tee and a panoramic view over Glasgow and towards the Campsies greets players on the twelfth and thirteenth tees. Out of bounds tight along the right and two fairway bunkers to look out for from the tee. Green guarded on both sides by bunkers. An intimidating first tee-shot as you can see all the trouble. To the right, out of bounds all the way, with a bunker just off the fairway. Trees and a second bunker await shots that are hit too far left. The green is protected by large bunkers on either side. Dogleg right with out of bounds all the way down the right. One greenside bunker left of the green. This is a challenging dog-leg to the right where long, straight hitters may try to take a more direct route thereby leaving a short approach to the green. However, any shot hit too far to the right, or hit with a slice, can result in the second shot being blocked by the trees on the elbow, or may go out-of-bounds. Also, any shot hit too long or too far left can end in the trees on the far side of the dogleg, or the left hand side of the fairway. A nice easy drive down the middle is the safe option. Without doubt the toughest hole on the course. Out of bounds all along the right and tight to the green. Bunker on the left of the green awaiting that pulled second or third shot. The tee-shot is somewhat blind, being hit to an elevated fairway. The green can be seen in the distance and the line from the tee is to the left of the bunker at the green. There is out of bounds all along the right-hand side of the hole, including immediately to the right of the green. Thick rough and gorse bushes flank the left of the fairway, so it is an advantage to know how far left to go while staying on the fairway to further open up the green. Easiest hole on the course but still has its’ dangers. Bunkered on both sides with a burn running across halfway to the green. A short par three, but beware if the pin is at the back of the green. Any putt from pin-high or above the hole will be affected by the speed and slope of the green. Watch the line you take with your tee-shot if there is a breeze, as the wind tends to swirl between tee and green. Look at the flags on both the second and thirteenth greens as this will give an indication of wind direction and strength. Dogleg left between the trees to a green guarded by bunkers left and right. Running parallel to the fourth, this is a dog-leg swinging left. Avoid the trees on the left of the dogleg and don’t hit too long or straight, as you may end up in the rough or trees on the right. The green is protected by two bunkers at the front left and right, so a high shot, carrying the bunkers, may be required. There is a gradual incline to the green that may make the approach shot to the green look shorter than it really is. Check against the distance markers. A reasonably long par three with bunkers left and right. You see it all from the tee. Tee-shots should be hit to the middle of the green. Any shot that is short can be affected by the undulations and end up in sand to the left and right of the green. A shot wide of the bunkers leaves a challenging shot – you may be left with a pitch that won’t stop on the green and have no option but to play safe. Sometimes it is prudent to lay-up short and rely on a pitch and putt for par. 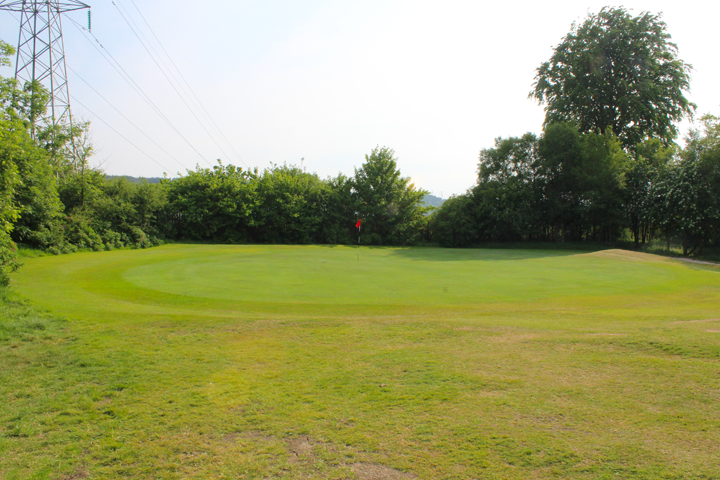 Have a look at the ninth green as you leave the eighth tee – this may help when playing the ninth. Fairway bunker right off the tee. One greenside bunker on either side of the green. Straightforward, as long as the bunker on the right of the fairway and trees to the left are avoided. Pin positions on slopes at either side of the green can make putting difficult if the approach shot is too long. Go left of the centre on the fairway if the pin is to the right and right of centre if the pin is to the left. Drive to an elevated fairway bunker left. Green guarded by bunkers front right and on both sides. A straightforward hole, but the drive has to be hit to the top of a hill, avoiding the fairway bunker, to see the green for the second shot. Uphill from the tee with a grass mound running across the fairway. Blind second shot to the elevated green with one bunker short right. 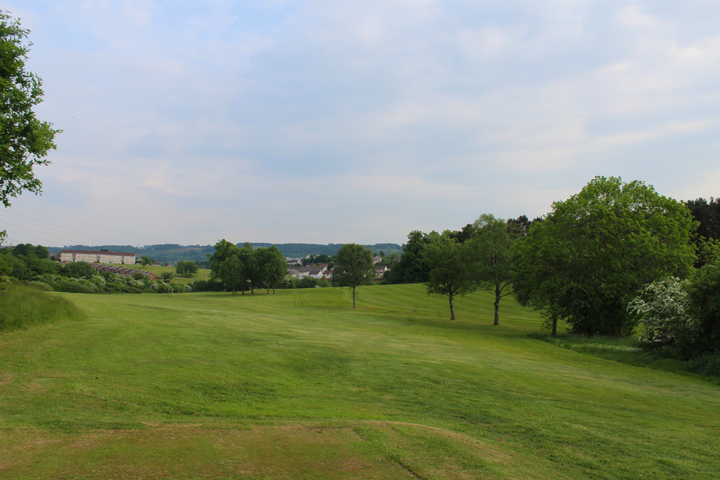 Great view from the green to the Kilpatrick Hills & the slopes of Ben Lomond. Straight and uphill, with an overgrown wall running across the fairway at approximately 200 yards. The safe tee-shot is a three wood, left of centre, to the level part of the fairway, as this makes the approach shot easier. Long hitters might be tempted to try to hit over the wall, but the rough on the wall is thick, the tree on the right can block shots to the green and there is the risk of out of bounds behind the eighth tee. The distance to the hill-top green can be difficult to judge, so check against the distance marker. Tee off from an elevated tee with a straight forward second to the green. One bunker on the left and a burn runs along the right. You can see what is ahead of you from the tee and, if you had looked at the hole from the second, you will have a fair idea of the challenge. A slight right-to-left dogleg, the tee-shot is hit to a fairway significantly below the level of the tee. 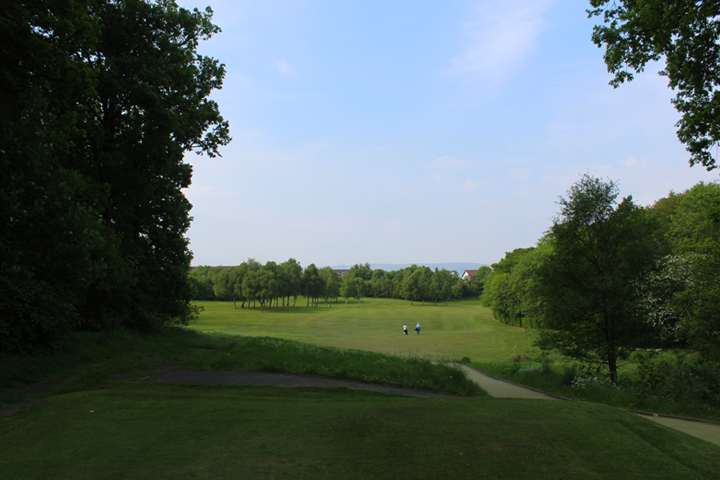 The fairway rises slightly from about 225 yards, which can block your view of the green. Drives to the left of the fairway leave the green visible for the second shot. Drives to the right leave a blind shot to the green. Beware of the apparent magnetism of the trees on the left. They are not out of bounds and, if you are fortunate to find your ball, they might not be easy to escape from. The green is protected by a bunker on the left and a burn on the right. Use the knowledge gained when playing the second hole to help judge the approach shot to the green. Par 4 | 356 yards | Stroke Index 14. A short par 4 with a slight dogleg right round a large mature tree. Bunker on the right of green. Keep your drive left of centre on the fairway to leave an easy shot to the green. A tee-shot to the right of the fairway may be blocked out by the tree. A “birdie” chance, but watch the bunker on the front right of the green waiting for the careless shot! And don’t go too far left or your shot may spin and roll off the green. Two bunkers await your tee shot to this long par 3 on top of the hill. A long par three, with the flag, but not the green, visible from the tee. Bunkers, approximately 20 yards short of the green, await balls hit left and right. Shots hit too long or to the right can roll off the green and downhill into heavy rough and gorse. Long straight forward Par 5. Large tree in centre of fairway can affect second shot. Burn runs along the right and two bunkers short right of the green with one short left. This is the longest hole on the course with the first part climbing to a ridge which is approximately 210 yards from the tee. The fairway then slopes downward for about 200 yards, with the final 150 yards fairly level. A large oak tree in the middle of the fairway has an effect on the second shot. The ideal drive is long, over the ridge, and to the left-hand side of the fairway. A long second shot to the level area should leave a short iron to the green. There are bunkers short and on either side of the green. A burn on the right of the fairway, with out of bounds on the far side, awaits mishit shots. The green slopes from back to front and has a ridge running across it. Try to get on the same level as the flag to avoid a tricky putt. Note the flag position on the seventeenth green as you pass. Knowing the placement will help with the approach shot to that green. Par 4 | 308 yards | Stroke Index 16. Fairway runs right to left from the tee. A Short par 4 and the green can be driven by the big hitters. Fairway grass is kept longer to stop the ball running down to a burn on the left. Avoid thick tree plantations to the right of the fairway, and rough and bushes short, and to the left, of the green. A definite “birdie” chance, but hit the tee-shot slightly off line, and shots could be thrown away. Laying up with a three wood is the safe shot. Par 4 | 402 yards | Stroke Index 2. Good par 4. Blind tee shot with fairly generous fairway. Greenside bunkers left and right. A blind drive to a fairway with rough and trees on the left, and trees on the right. 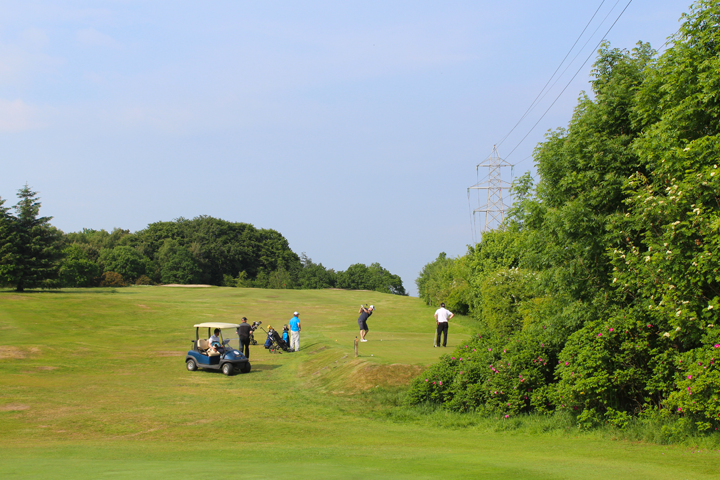 If it is hit to left of centre on the fairway the drive will benefit from a slight downhill left-to-right slope. The shot to the green is longer than it looks, so check the distance. Bunkers on either side of the putting surface means that the green is narrower at the front than at the back. Par 4 | 422 yards | Stroke Index 4. Nice finishing hole. Mostly downhill with trees on left, out of bounds on the right and new ‘Burn and Bridges’ feature just short of the green. A challenging par four to finish where the problems are obvious. A tee-shot down the middle will get the advantage of a fairway that slopes down from right to left. Usually a good mid-iron is required for the second shot. The green is large and is protected by a bunker, short and to the right, and bunkers on either side. The approach shot is longer than it looks so a shot to the centre of the green is the safest way to finish your round. The introduction of the ditch which now crosses the fairway some 30 yards short of the green creates a new difficulty for those who lack distance for the approach or following a mishit tee shot. Short par 4 with one bunker short right of the green. A short and straightforward par four – or is it? Trees and a bunker on the left of the fairway, and trees on the right, await careless tee shots. The safe option is to lay-up short of the bunker from the tee which leaves a straightforward route to the green. Watch for the other bunker at the front right-hand side of the green – it might not be visible when playing the approach shot.